There will be a few hours between the Wedding & the reception, but Chicago is a fantastic city to explore and you'll be right in the middle of it, here's a few ideas! Now, let’s talk hot dogs. Hot dogs are wonderful. 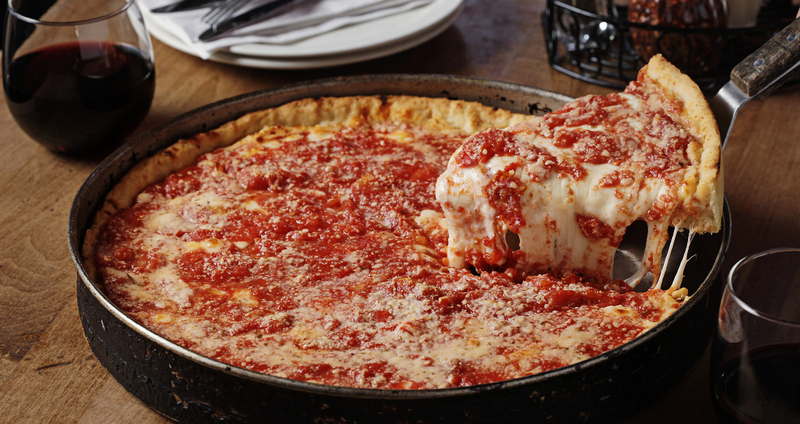 They are not just kids’ food or a junk food in Chicago. They are a culinary work of art. While you’re here, grab a dog, but for the sake of all things good, DO NOT ask for ketchup. 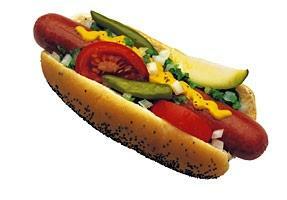 Weiner Circle – 2622 N. Clark St.
Of course, there is plenty to eat outside of pizza and hot dogs. Take a walk or short cab ride to Greektown, Little Italy, or River North. There are just so many places to eat! There is plenty to do in the city for the weekend. We hope that you enjoy your time in between wedding festivities! 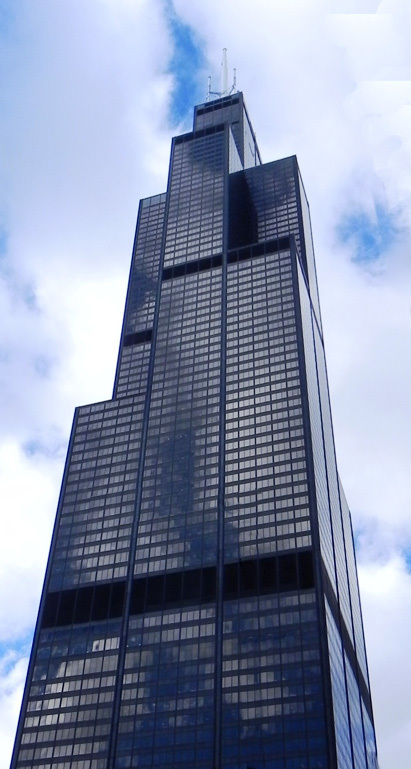 Sears Tower – We refuse to call it the Willis Tower, but whatever you call it, it’s one of the tallest buildings in the world. Visit the Sky Deck and walk out onto the glass bottom ledge. 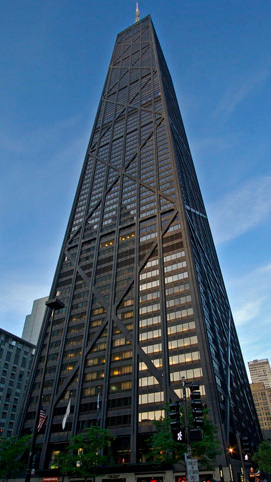 The Sears Tower is right next to the reception venue, so it would be a fun place to spend some time between the mass and reception. You can visit the location of Gavin & Maria’s first kiss at street level, right outside the Skydeck entrance. If you make reservations ahead of time, you can have a drink with a view in the Metropolitan Club on the 67th floor. You may even be able to visit the private room at the club where Gavin proposed! Millennium Park & Grant Park – Take a walk in two of the city’s lake front parks. Take your picture by The Bean and see Buckingham Fountain. Maria & Gavin shared a secret bottle of champagne and watched the light show at Buckingham Fountain immediately after getting engaged at the Sears Tower. If you keep walking to the east, you’ll hit the lake. This is our favorite place to go for a morning run or just take a walk. You can also visit the spot on Columbus Drive where Maria & Gavin finished their first marathon together in 2013. Museum Campus – If you have the day, visit The Field Museum of Natural History, The Shedd Aquarium, or The Adler Planetarium. Gavin asks that you say hi to the dinosaurs at the Field, the penguins at the Shedd, and the Ewoks if you see any at Adler for him (he seemed very adamant about this). Magnificent Mile – Shopping, shopping, and more shopping! Besides shopping, you’ll also find Chicago’s historic water tower and pumping station. These building are some of the oldest in the city, as they survived the Chicago fire. Boat tours – A great way to see the city is on the water. There are a number of tours to choose from; some are from Navy Pier and there are others that go along the river. We prefer the city from the river, but you can’t go wrong either way. Hancock Building – Most Chicagoans would agree that the best views of the city can be seen from the Hancock Building. Fun fact, Maria & Gavin went ice skating on the observation deck on their first date. You can skip the observation deck and just take the elevator up to the Signature Room Lounge. Here, you can spring for a cocktail and sit down to enjoy the scenery, rather than fighting the crowds at the observation deck. The best views are from the women’s bathroom- sorry guys.